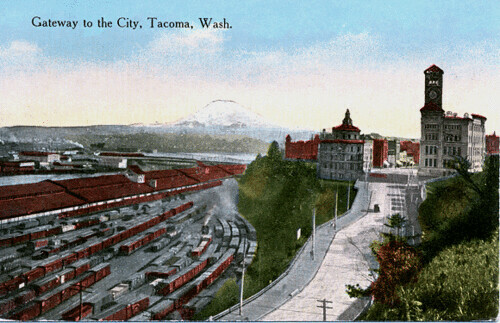 The next outing for the Tacoma Foto Gang will be March 13th at the Old City Hall. Up until recently there were offices and businesses in the Old City Hall. Hopefully there are areas that have not been too gentrified. Is there anything left to see in the Old Police Station across the street? I understood that they retained one of the old cells. "Are you talking about the old Northern Pacific building ("One Pacific") or another building?" I think you're right, but I haven't heard it referred to by that address in awhile. "In 1929, the Police Department moved across the street from the city hall to the newly completed Public Safety Building. 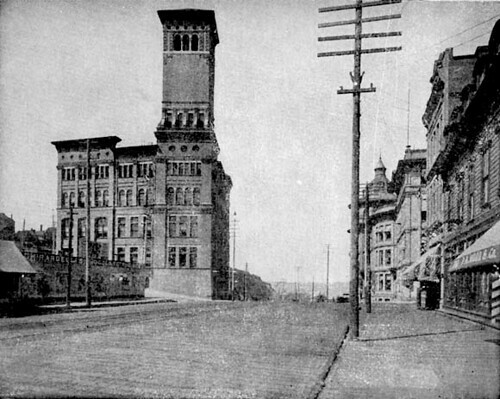 This five story structure was designed to house the station and city jail, and was built adjacent to the old Northern Pacific Railroad headquarters building. Though an improvement on the previous station, it was too small. Soon, the police moved into the N.P. RR building, which came to be known as the Police Annex. Later expansion forced the purchase of a building at 710 Pacific Avenue, which housed the police garage and the juvenile division."